I made this dish for dinner tonight. I was very happy with how it turned out. Delicious! This is a great side dish or even a meal. And its low-fat and gluten-free! Preheat oven to 350. 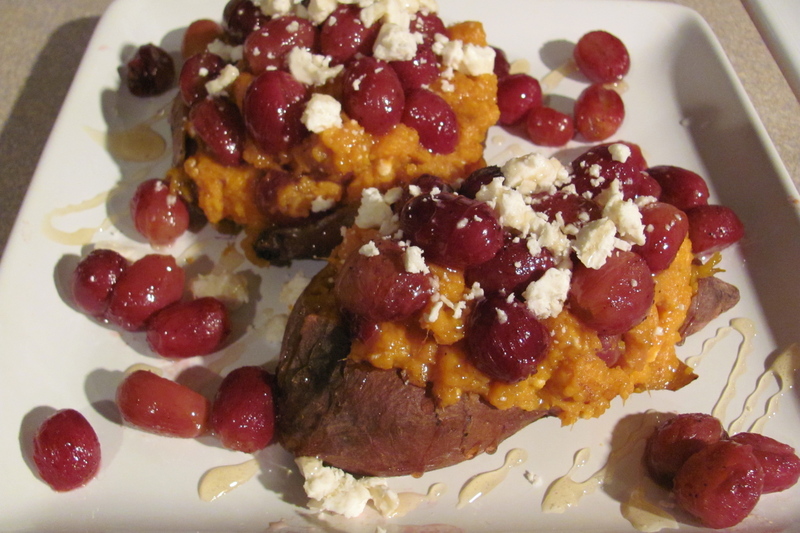 Poke holes in the sweet potato with a fork, wrap tightly in foil and bake in the oven for about an hour until soft. When the potatoes are soft, slit them open with a knife and gently remove the flesh of the potato. Mix potato flesh, honey, cinnamon, nutmeg and honey. Lay grapes on a nonstick baking sheet and drizzle with grapeseed oil and a pinch each of salt and pepper, then toss to coat. Roast at 450 for 20-25 minutes, or until grapes begin to burst. Remove from the oven and let cool. Stuff potato shells with mashed potatoes. 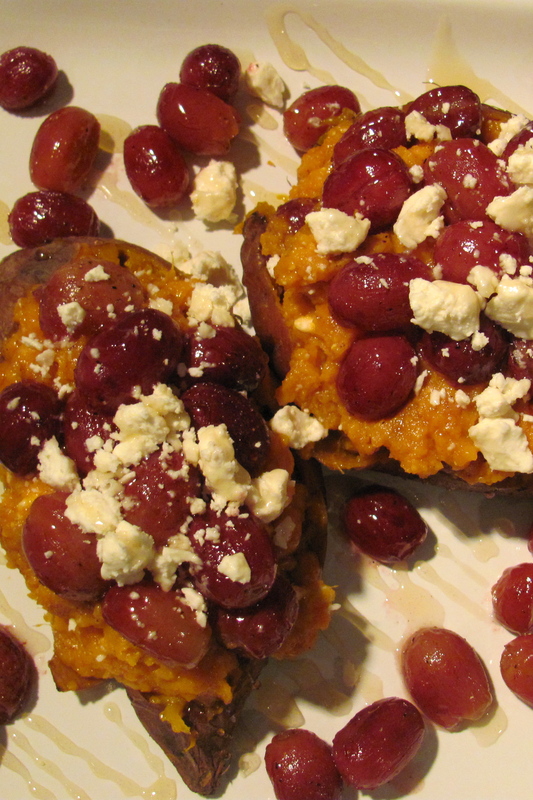 Top with roasted grapes, additional cheese and drizzle with honey. Delicious! Preheat oven to 350. 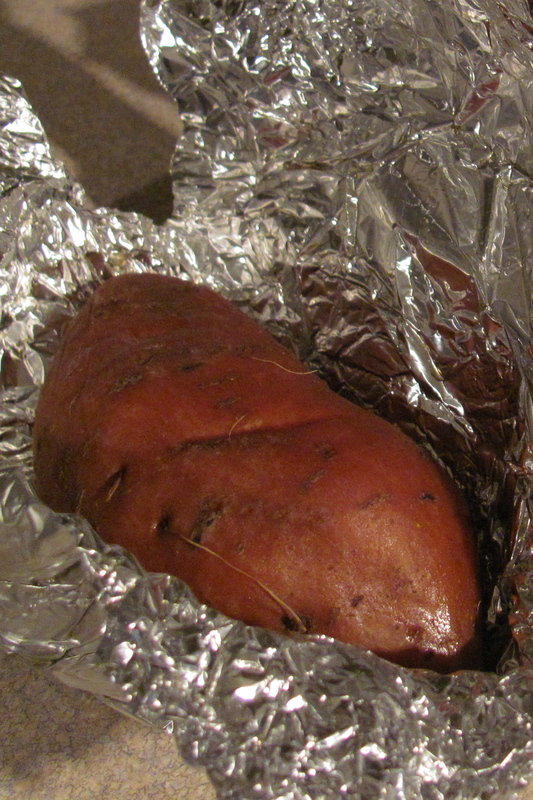 Poke holes in sweet potato with a fork, and wrap tightly in aluminum foil. 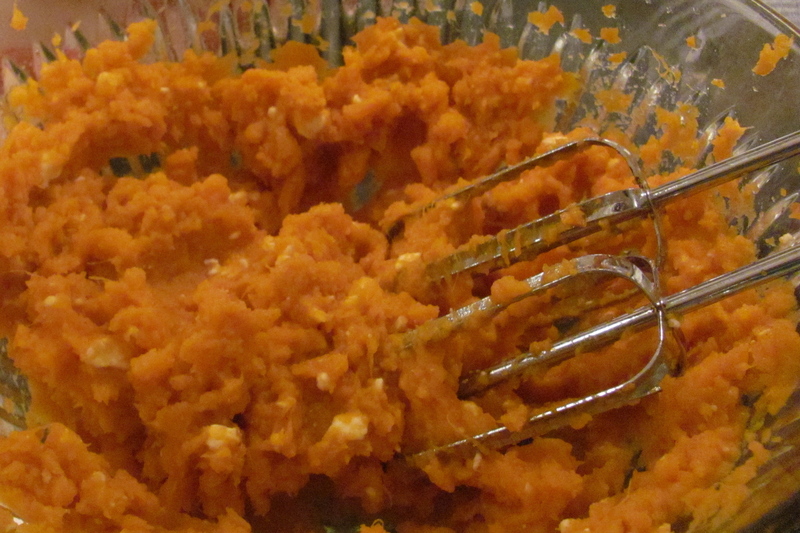 Bake for 45-60 minutes, until potatoes are tender. 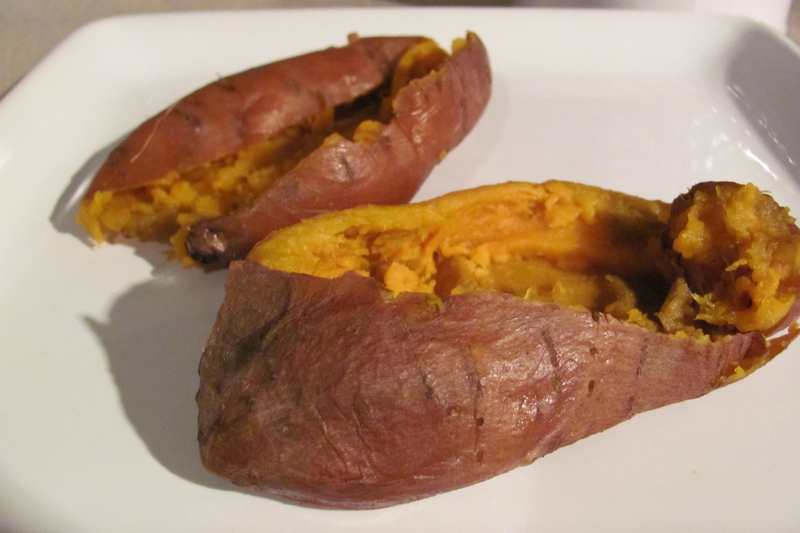 Unwrap foil and cut a slit down the middle of each sweet potato. Let sit until cool enough to handle. 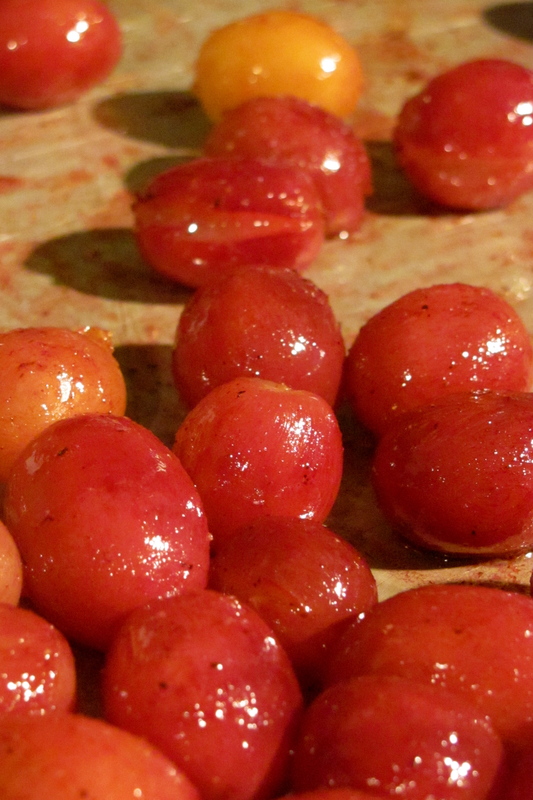 Increase oven temperature to 450 degrees F. Lay grapes on a nonstick baking sheet and drizzle with grapeseed oil and a pinch each of salt and pepper, then toss to coat. Roast for 20-25 minutes, or until grapes begin to burst. Remove from the oven and let cool.